Are you a drone enthusiastic person and eagerly waiting to fly the latest drone? Considering guys like you, the GoPro Company has designed the drone named GoPro Karma Drone, announced its release date. Drones became an emerging trend in the present world because of its usage, i.e., recreational use, commercial use, and for professional usage. Coming to this GoPro karma 2019 quadcopter, it is designed for the professional purpose. The GoPro company is founded by Nick Woodman in the year 2002, which is an American Technology. It mainly develops HD cameras and its mobile apps. Hero 4, Hero 5 Black, Hero 5 session are some of the popular HD cameras of this GoPro company. The primary intention of GoPro is to reach its products to its consumers in various activities like capturing their memories, share and enjoy while recording. GoPro has upgraded its products in developing drones. Recently announced GoPro Karma its first drone released on October 2016. The GoPro karma quadcopter has a sleek design which is a portable drone. It is a foldable drone which you can carry on a backpack. The Dimensions of Karma UAV are 12*16.2*4.6 inches. The drone controller has a 5″ touchscreen so that you can view your drone flying areas on the screen. A 5100mAh LiPo battery will give you 20 mins flight time with a full charge of one hour.Gopro karma waterproof camera holder will protect the GoPro camera from water. The drone weighs about 35.5 0unce which fly with a speed of 35 Mph. It can resist the wind upto 22 mph. You will be going to attract for the GoPro Karma Sleek design which is solidly built. Before buying the following are the features you will need to know about GoPro karma Quadcopter. GoPro Karma is a ready-to-fly drone which is used in outdoor environment. It is a foldable drone due to its movable arms. Hence, while you are traveling you can carry karma drone in the backpack. The GoPro controller having a 5inch touch-screen will give you first-person-view experience. A 5100mAh LiPo battery gives a flight time of 20 mins. Karma will come with or without a camera. If you have GoPro camera then no need to purchase drone with a camera. The built-in camera shots with 12MP images and 4K video. The camera holder is a waterproof container. 3-Axis gimbal will make the GoPro waterproof camera more stable in any direction. Gopro karma has a sleek design; it is easy to fly if you had experience in playing a video game or an X-Box it would be easy to control this GoPro karma. It is a portable drone because of its foldable design; you can pack the karma drone in your backpack and carry anywhere. There is no need to pair your smartphone with the GoPro karma because the controller already comes with a 5-inch touchscreen with 1280* 780p resolution. The GoPro karma drone is available with and without a camera. 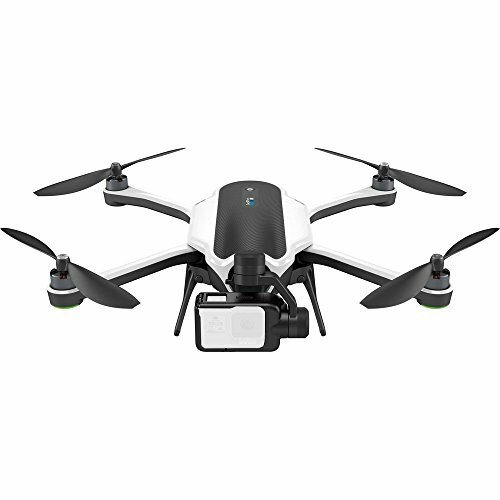 This GoPro Karma UAV is compatible with Hero 5 Black, Hero 5 Session, and Hero 4 GoPro camera. The GoPro Karma Price will vary that depends on the camera. GoPro karma without a GoPro camera costs $799. Karma with a Hero 5 black GoPro camera costs $ 1099 and with a Hero session camera costs $999. Detach the stabilizer from the Karma drone and attach it to the portable grip. So that you can feel the smooth hand-held experience in taking pictures and videos. This grip will be going to give you a stable picturing without a drone. A 5100mAh LiPo battery is a built-in battery in GoPro Karma which gives a decent flight time of 20 mins. The time is taken to get a full charge battery is about an hour. The GoPro Karma charger is used to charge LiPo battery, Karma controller, and Karma grip. The charging time for LiPo battery is 1 hour. Charging time for the karma controller is 2.5 hours. Time to get full charging for Hand-held grip is 2 hours. Let your friends Install the Passenger App on their smartphone. You can also share your drone fly with your friends with the help of this GoPro Passenger App. Hence, your friends will also enjoy in viewing your flight from their smartphones. The Controller has built-in 5-inch touch Screen. Gopro karma is easy to carry drone because of its foldable design. Removable camera and gimbal when not in use. Obstacle sensing is not given in GoPro Karma. Follow me feature is not available with GoPro karma UAV. Because of its advanced features, GoPro karma is an expensive drone. The GoPro Karma is the latest professional drone in the present drone market which is going to release on 23.10.2016. GoPro Karma is the first drone which featured with 5inch touch-screen controller. This Ready-to-fly GoPro karma UAV is easy to carry drone because of its foldable arms. Finally, GoPro Karma Quadcopter is best suited for professionals who are rich in capturing HD images and videos.